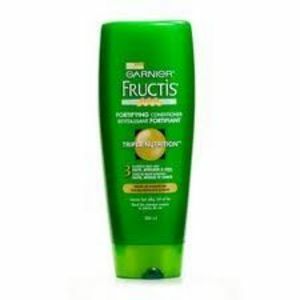 I prefer Garnier Fructis above all other conditioners. My hair always looks its best with this conditioner, and I always have a sleek shine from the conditioner. Its easy to use and smells great! The conditioner has helped make my hair look amazing and it has boosted my confidence to letting my hair flow in the wind! My hair is no longer unruly, but beautiful! I would recommend this product to anyone! Specifically, this conditioner helped my hair stay dandruff free for days unlike other conditioners that would only last for about a day. Not only that, but with the triple nutrition, my hair stays nice even if I don't wash it every single day. The triple nutrition hydrates your hair to make it smooth and easy to work with. My hair is always nourished when using Triple Nutrition Conditioner, and it's affordable to buy as well! The Triple Nutrition Conditioner works more effectively than other conditioners, and it will work for all types of hair. They often send out coupons as well! Effectiveness The conditioner works well in helping my hair look its best- it has even tamed some of my unruly waves to create luscious waves instead! My hair has never looked better since I started using the conditioner! Scent The scent is wonderful-almost fruity! I am a huge fan of the Garnier hair products, so I had pretty high expectations for this conditioner. I have dry damaged hair and I thought this would be exactly what I was looking for to help bring back the softness and shine to my hair. This conditioner didn't quite live up to my expectations. Effectiveness My hair is damaged from years of coloring, bleaching, and styling. It feels rough and straw like without some major help from great products, but I also have oily roots so I need a product that does not make my hair oily. 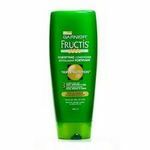 The Garnier Fructis Triple Nutrition Conditioner did not fit my needs. My hair felt just as rough after using it as it would have without any conditioner at all. It made my hair feel stringy, heavy, and completely unmanageable. I had to rewash my hair and use my regular products just to get it combed out. I was very disappointed in this particular product, but will continue using my other favorite Garnier products. Scent The scent is pleasant and pretty typical for hair products. I received two samples of Garnier Fructis Triple Nutrition products in the mail. The packets state that the products are for dry, damaged hair. The conditioner contains avocado oil, olive oil, & almond oil. It has a light, pleasant scent, a white creamy consistency, & has a slightly thicker consistency than some conditioners I've used. I've been using several hair conditioning samples to clean out my cupboard. I have normally dry, curly, color-treated hair that fights fly-aways. I usually wash my hair once or twice a week, depending on how it feels. Otherwise, my hair is too dry. The previous conditioner sample I tried two days ago REALLY dried my hair & scalp out making my scalp extremely itchy & actually painful. I applied one sample packet of the Garnier Fructis Triple Nutrition Conditioner 1st to my scalp & massaged it in. Since my hair was so dry, I applied the 2nd packet to my hair, worked it to the roots, & combed it through. I applied heat using my blow dryer for 5 minutes, & then rinsed the product out. My scalp felt much better. I followed with the Deep Conditioner that came with the packets using the same technique & allowed my hair to air dry. My scalp & hair felt much better. There was no greasy residue. Some ends still were a little dry, but they were much better than before, so I'm hoping they improve with the next treatment. Overall, I don't really like this product. I don't like the smell of it, but it does make my hair softer and smoother. I would suggest changing the fragrance, then it would be a top conditioner in my home. Effectiveness It is effective in making your hair feel cleaner and smoother. It does the job if you can handle the smell of it. I think it also makes your hair stronger, and gives it a little weight. Scent I gave this a one because I think this stinks. I'm just being honest. I think they should change the fragrance. Maybe have a coconut or even a flowery smell would be fantastic. I like that this conditioner covers every single strand of hair. I have lots of thick, wavy, long hair, so that is actually quite challenging with my hair. It coats and protects each strand. The oils make my hair have a healthy sheen and give it much more luster. The consistency is thinner than many of the conditioners that I use, but it is not watery or runny. 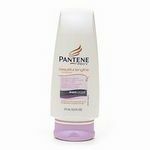 The benefit of this is not just that the coverage is great, but the conditioner also lasts longer than many other conditioners I have used. This is especially nice because when you have long hair, you go through a lot of conditioner. 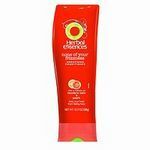 The price on this Garnier cannot be beat and often times there are coupon deals that makes the price very low. The scent of this is very appealing; it is fresh, light and invigorating. I alternate between a few shampoo/conditioner pairs and when my scalp is dry, especially in cold weather months, I turn to this one. I actually prefer this conditioner to the shampoo that goes with it. I honestly think that Garnier Fructis Triple Nutrition Conditioner works great! It really is amazing and makes my hair feel so soft and silky. My hair is actually in very good condition but I hope to keep it that way so I do use good conditioners. It smells very pleasant too. I have never had a professional deep conditioning but I think this would probably come close to it. I would definitely try this product again. 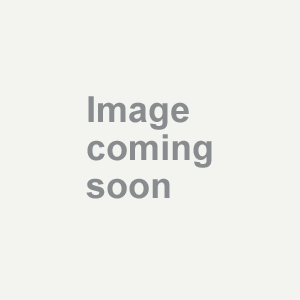 The Garnier Fructis products work very well. I think the prices are reasonable, but I still enjoy looking for coupons so I can save even more money on my health and beauty items. Effectiveness This conditioner is very effective. it does make my hair very smooth and much easier to comb after washing it. I usually shampoo my hair everyday and could use this several times a week and use a lighter conditioner on the other days. It makes my hair so shiny too. Scent It really smells great! A very pleasant and soft fragrance. Garnier Fructis Triple Nutrition Conditioner really is triple the moisturizer. I bought this because I love Garnier's hair care product, and seeing the triple nutrition in the title made me think it was three times as good as their regular moisturizers. It not only moisturized my hair, but it helped soften the coarser strands of hair I have. It also helped my split ends, helping control the frizz from the split ends leaving my hair looking much healthier! Effectiveness This is one of the best moisturizing conditioners that Garnier makes, and most of their products are fabulous. 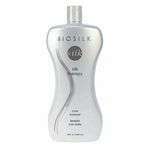 This helps correct dry and damaged hair, leaving it softer each time you use it. It even brought more moisture into my wife's hair, which is really coarse and curly. She colors her hair, so it's also safe for color treated hair, which is usually pretty damaged. I highly recommend this to anyone looking for a nourishing conditioner at a great price! Scent Like all of Garnier's products, this also smells really great. It has a nice fresh scent, that was also a little fruity. I only give this conditioner a seven because I feel like the solution is too watery. It seems like the conditioner is working because it releases the tangles in your hair while using it, but once you get out of the shower and dry your hair, it just goes right back to the same dry feeling as before the conditioner. It also seems to leave the hair greasy if you do not over rinse it out. This seems counterproductive because you want some of the conditioner to stay to keep your hair soft and silky. Garnier smells great and it keeps your hair smelling good, but it just does not seem to work as well as Aussie, which is my favorite brand. Whatever amount of conditioning you get seems to wear off before your next wash also. Effectiveness Leaves hair greasy if you do not rinse thoroughly. It also wears off by the end of the day leaving hair looking dry again. Scent This is a great smelling conditioner and it leaves your hair smelling great, not just when you are in the shower. Affordable conditioner, best for shorter hair. We used to buy this conditioner a lot, because it is affordable, and it is a scent that everyone seems to like well enough. We don't buy it much anymore though, because after going through a couple bottles of it, our hair started to feel a little bit rough. When you rinse it out of your hair, it seems to rinse completely out, and your hair doesn't feel conditioned at all afterward. I've noticed that a lot of other conditioners leave your hair feeling a lot softer than this does, especially after repeated uses. Effectiveness Because it starts to leave your hair more straw-like after the 2nd or 3rd bottle, I wouldn't rate the effectiveness very high. We do, however, use it sometimes, rotating it with several other conditioners. Now that I have short hair, I don't notice how rough it leaves my hair as much as I used to. Scent Everyone in my house likes the smell alright. I myself am a little turned off by it while I'm washing my hair, but afterward it doesn't leave your hair smelling bad at all.